Download "150 Watts. Solar Panel. 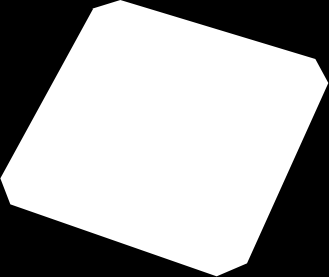 one square meter. 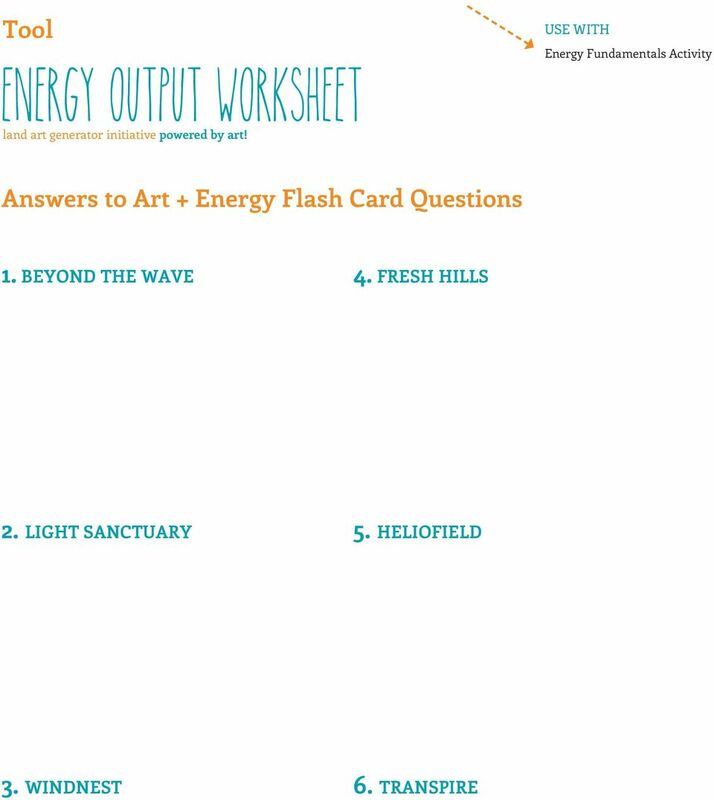 Watts"
1 Tool USE WITH Energy Fundamentals Activity land art generator initiative powered by art! 150 Watts 1,000 Watts Solar Panel one square meter 600 Watts SECTION 1 ENERGY EFFICIENCY 250 Watts 1,000 Watts hits the solar panel 600 Watts is lost to heat 150 Watts is lost to reflection, surface refraction and electrical resistance within the panel 250 Watts is converted into electrical energy Above is an eample showing the conversion efficiency of a solar panel that is one square meter in surface area. The sun beams down onto the surface of the earth a fairly consistent amount of energy. For each square meter of ground surface, about 1,000 watts makes it through our atmosphere as electromagnetic radiation energy. A solar panel is designed to convert electromagnetic radiation energy into electrical energy. But as you can see in the diagram above, we haven t yet figured out a way to convert all 1,000 watts. Every technology that is designed to convert natural energy into electrical energy has a conversion efficiency associated with it. The efficiency is a property of the technology and the materials. 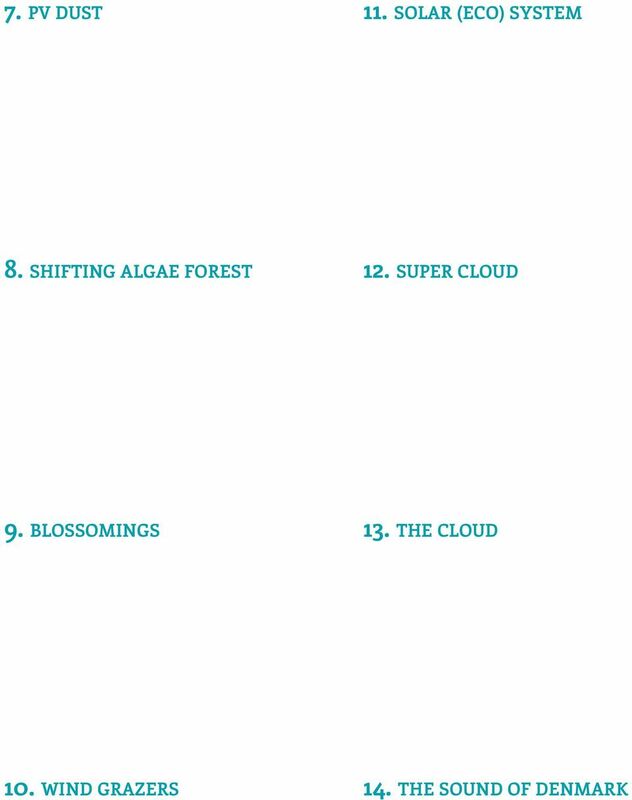 Scientists are constantly working to increase the efficiency of technologies, because by increasing efficiency, we can convert more available energy and potentially save money. With current crystalline silicon technology, we re able to turn about 25% of the sun s energy into electricity. The other 75% is either reflected (still as electromagnetic radiation) or turns into radiant heat energy (causing the solar panel to get hot). 2 This kind of solar cell is 25% efficient. It s called monocrystalline silicon Watts 25% Efficiency = 250 Watts Peak Capacity (250 Wp) available solar power electrical power DIFFERENT TECHNOLOGIES HAVE DIFFERENT EFFICIENCIES There are other kinds of solar cells that have greater efficiencies, but Single Crystal (or monocrystalline) Silicon (Si) is one of the more commonly used because it is not super epensive and it has a pretty good efficiency. Some solar technologies have efficiencies of up to 42% but they are very epensive. 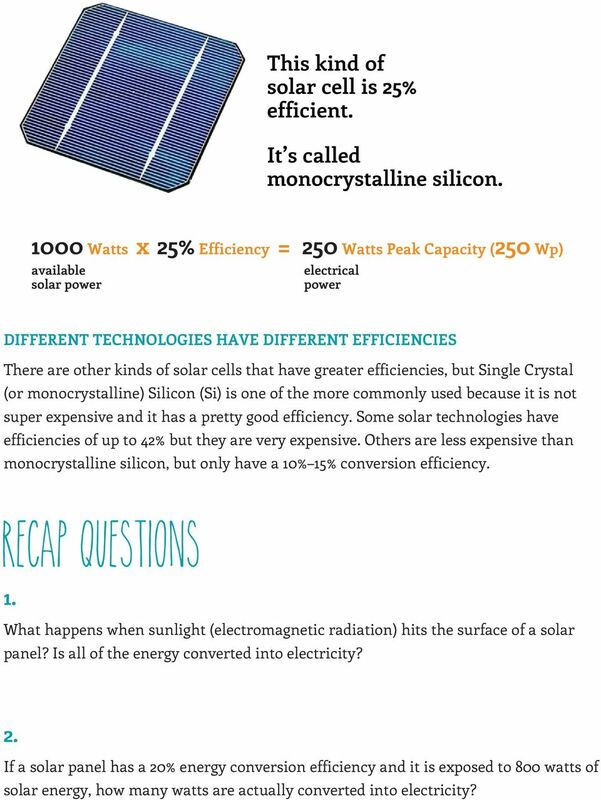 Others are less epensive than monocrystalline silicon, but only have a 10% 15% conversion efficiency. 1. What happens when sunlight (electromagnetic radiation) hits the surface of a solar panel? Is all of the energy converted into electricity? 2. If a solar panel has a 20% energy conversion efficiency and it is eposed to 800 watts of solar energy, how many watts are actually converted into electricity? 3 1000 Watts 25% Efficiency = 250 Watts Peak Capacity (250 Wp) available solar power electrical power How are you like a solar panel? 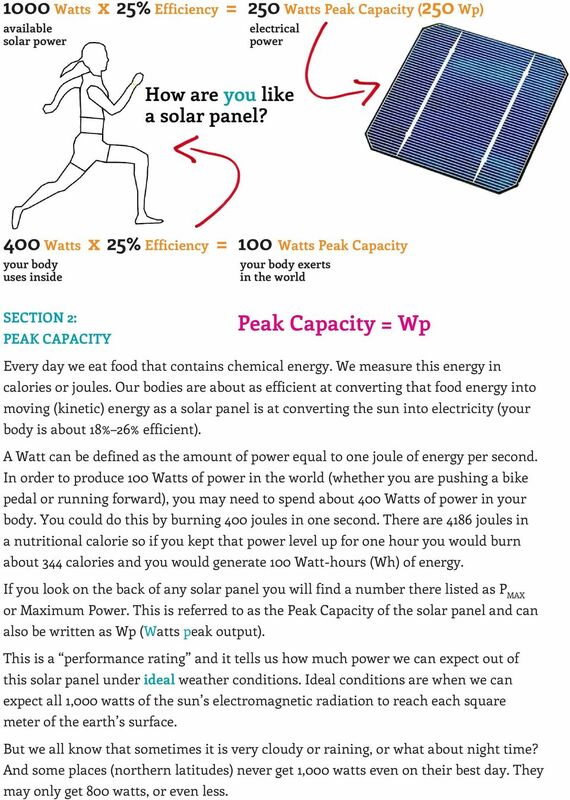 400 Watts 25% Efficiency = 100 Watts Peak Capacity your body uses inside your body eerts in the world SECTION 2: PEAK CAPACITY Peak Capacity = Wp Every day we eat food that contains chemical energy. We measure this energy in calories or joules. 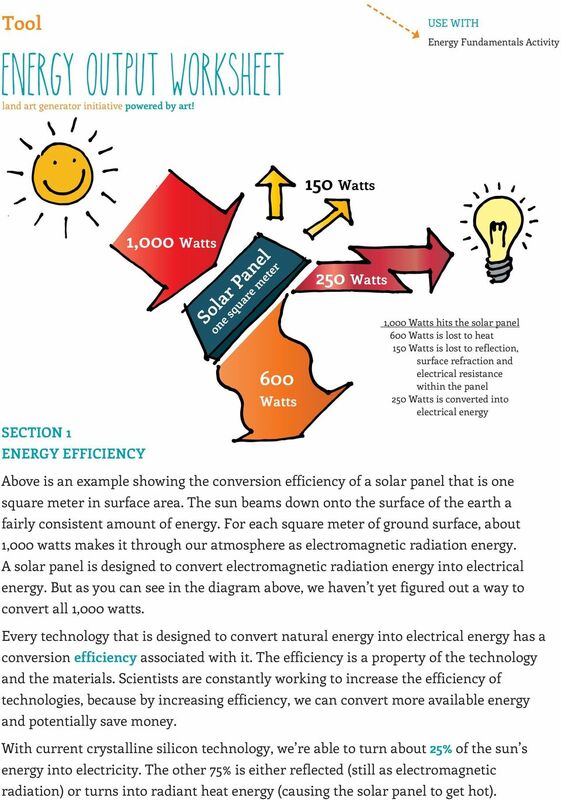 Our bodies are about as efficient at converting that food energy into moving (kinetic) energy as a solar panel is at converting the sun into electricity (your body is about 18% 26% efficient). A Watt can be defined as the amount of power equal to one joule of energy per second. 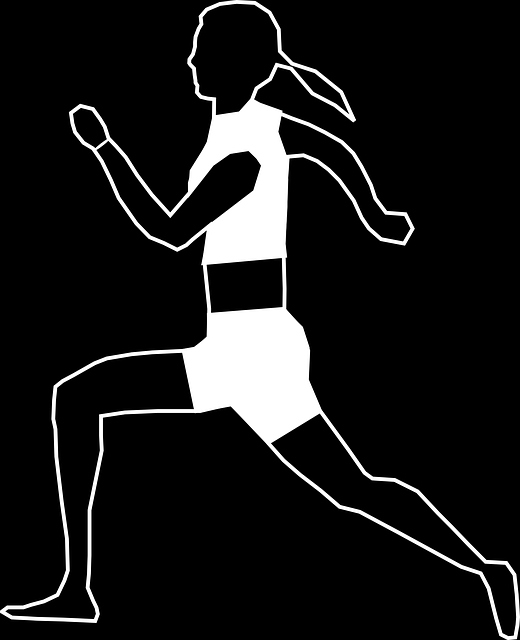 In order to produce 100 Watts of power in the world (whether you are pushing a bike pedal or running forward), you may need to spend about 400 Watts of power in your body. You could do this by burning 400 joules in one second. There are 4186 joules in a nutritional calorie so if you kept that power level up for one hour you would burn about 344 calories and you would generate 100 Watt-hours (Wh) of energy. If you look on the back of any solar panel you will find a number there listed as P MAX or Maimum Power. This is referred to as the Peak Capacity of the solar panel and can also be written as Wp (Watts peak output). This is a performance rating and it tells us how much power we can epect out of this solar panel under ideal weather conditions. Ideal conditions are when we can epect all 1,000 watts of the sun s electromagnetic radiation to reach each square meter of the earth s surface. But we all know that sometimes it is very cloudy or raining, or what about night time? And some places (northern latitudes) never get 1,000 watts even on their best day. They may only get 800 watts, or even less. 4 250 W Peak capacity 200 W 150 W 100 W 50 W 0 W Nighttime JAN FEB MAR APR MAY JUN JUL AUG SEP OCT NOV This is a chart that shows the energy production of our 250 Wp solar panel throughout the year. Every night the production drops down to zero. Some days in the summer it peaks up closer to the peak capacity. Other days it s cloudy. 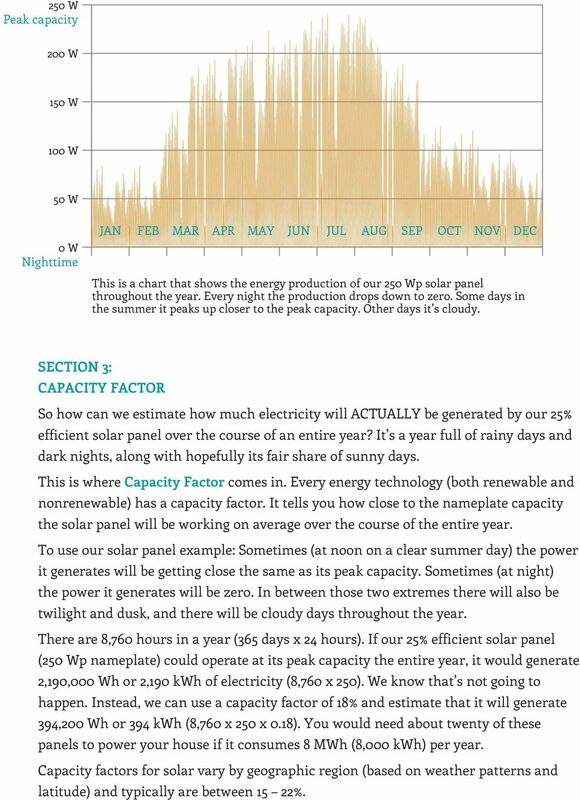 DEC SECTION 3: CAPACITY FACTOR So how can we estimate how much electricity will ACTUALLY be generated by our 25% efficient solar panel over the course of an entire year? It s a year full of rainy days and dark nights, along with hopefully its fair share of sunny days. This is where Capacity Factor comes in. 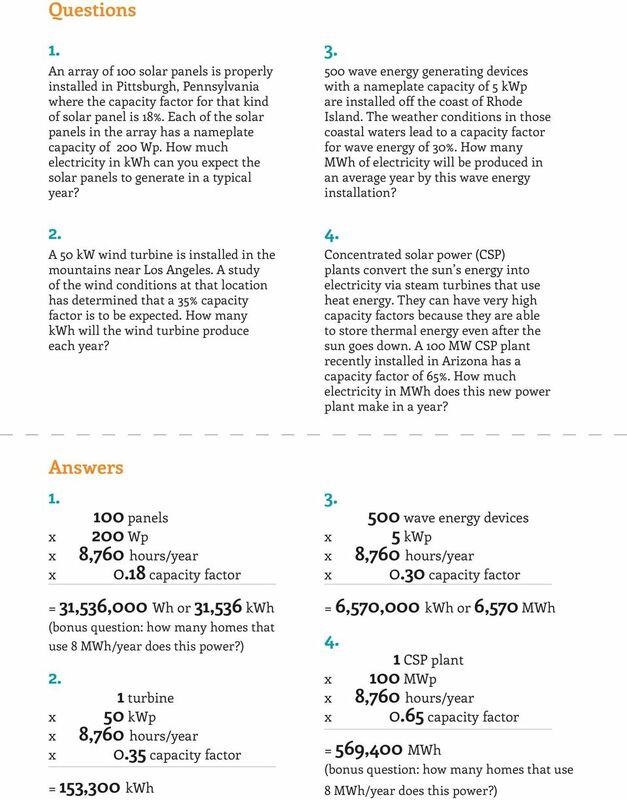 Every energy technology (both renewable and nonrenewable) has a capacity factor. It tells you how close to the nameplate capacity the solar panel will be working on average over the course of the entire year. To use our solar panel eample: Sometimes (at noon on a clear summer day) the power it generates will be getting close the same as its peak capacity. Sometimes (at night) the power it generates will be zero. In between those two etremes there will also be twilight and dusk, and there will be cloudy days throughout the year. There are 8,760 hours in a year (365 days 24 hours). If our 25% efficient solar panel (250 Wp nameplate) could operate at its peak capacity the entire year, it would generate 2,190,000 Wh or 2,190 kwh of electricity (8, ). We know that s not going to happen. Instead, we can use a capacity factor of 18% and estimate that it will generate 394,200 Wh or 394 kwh (8, ). You would need about twenty of these panels to power your house if it consumes 8 MWh (8,000 kwh) per year. Capacity factors for solar vary by geographic region (based on weather patterns and latitude) and typically are between 15 22%. PV POTENTIAL IN HUNGARY. Miklós Pálfy SOLART-SYSTEM Ltd.
10 Strategic Steps to Reducing Your Energy Costs AEE Regional Chapter Meeting February 2, 2005 Presented by: Gary A. Swanson, PE President Energy Management Solutions (612) 819-7975 10 Step Summary 1.